"Sampath Speaking" - the thoughts of an Insurer from Thiruvallikkeni: UDRS - when Indians opposed they were villains; now Aussies rue the system !!!! UDRS - when Indians opposed they were villains; now Aussies rue the system !!!! India is feeling a huge sigh of relief……… for long Cricketing World was fretting that India is the lone opposer to the system change and is stalling the same flexing its muscle……….. the DRS or the Decision Review… before we proceed, do you know or remember what connects the now tainted Santhakumaran Sreesanth to UDRS ? After the First Test of Ashes won by England narrowly, much din is heard …. But before….. time and again, it was projected by foreign media that DRS is the solution to problems ailing cricket – ‘when technology is available’ it must be used; Technology removes the stigma of bias, reduces human error, increases viewer satisfaction, is acceptable to a majority of players. …… and that India [its Captain Dhoni and the board] were the ones stalling it…… now voices are coming from different quarters !! First there was the controversy shrouding the sacking Mickey Arthur, the SA cricketer who was the coach of Aussies till 23rd June 2013 in the aftermath of David Warner’s bar room altercation with England batsman Joe Root. Then came the news that Arthur is suing Cricket Australia for up to $4 million after he was sacked; there was also the explosive allegation of racial discrimination and also infighting between Test captain Clarke and all-rounder Shane Watson. Arthur is also understood to have alleged that he was discriminated against because of his South African background and said he was not supported by his Cricket Australia employers through the "homeworkgate" affair in India, when four players including Watson were suspended. The first Ashes Test was engrossing – it was a seesaw battle where England prevailed. With a little luck, the result could have been the opposite for Michael Clarke’s side- generally this lack of luck could have been ascribed to the vicissitudes of fate. Now Australians, their Vice Captain, Coach are all blaming technology – specifically the DRS. As the opposition became more vocal, ICC has defended the performance of the umpires even while admitting to errors in cases involving Jonathan Trott and Stuart Broad. The ICC has taken the unusual step of revealing its assessment of the umpires and the DRS analysis from the Test, arguing that the figures vindicate both. ICC has suggested that the "added intensity" of a first Ashes Test had increased pressure on the officials. According to the ICC, the umpires made a total of 72 decisions, which is well above the average (49) for a DRS Test match. The umpiring team, made up of Aleem Dar, Kumar Dharmasena and Marais Erasmus, was assessed to have made seven errors during the match, out of which three were uncorrected decisions and four decisions corrected using the DRS. As such, the correct decision percentage before reviews stood at 90.3% but climbed to 95.8% as a result of the use of the DRS. This represented an increase of 5.5% in correct decisions, which was the average increase from DRS Test matches in 2012-13. The three decisions that were marked as uncorrected errors included one against Trott when a correct lbw decision (not out against the bowling of Mitchell Starc) was overturned. The others involved Broad, both the edge that carried to slip via Brad Haddin's gloves and a leg-before shout where he did not offer a stroke, but neither but these could be corrected as Australia had no reviews available. The MCC's World Cricket Committee has restated its support of the DRS with a "unanimous" opinion of those present at its meeting at Lord's that the referral system can only improve umpiring decisions. The MCC backing came a day after the ICC issued an unprecedented release stating its support for the umpires and DRS. The world cricket committee, which included the ICC's chief executive Dave Riahardson, and eminent former cricket players like Steve Waugh, Geoffrey Boycott, Michael Atherton and Shaun Pollock, discussed the Trent Bridge Test at length and felt that the mistakes that occurred were more of operational nature and DRS could not be blamed. Kumble and Dravid, the two Indians on the cricket committee, did not attend the meeting at which "unanimous" support for DRS was expressed. India has always been the most sceptical country about DRS and the BCCI refuses to sanction its use in bilateral series. Australia's vice-captain Brad Haddin now believes that decision referrals should be taken out of the hands of players and left as a tool of international umpires. 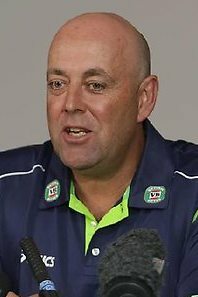 The new coach Darren Lehman was also livid……… while Trott and Broad incidents are highlighted, the stumping of Ashton Agar is conveniently swept under. In the Jonathan Trott incident, the HotSpot creator Warren Brennan apologized for the failure of technology. It is felt that Broad exploited the weakness of DRS when he was caught at slip and Umpire misjudged and ruled him not out. Clarke had already utilized his two reviews, and could not ask for a review. Broad lived on to score 65 in what turned out to be a match-winning partnership with Ian Bell. Arguments raged about his decision not to “walk” despite getting a thick edge. The ethical position is easily challenged by the right of the batsman to let the umpire make the decision. The Umpire Decision Review System (abbreviated as UDRS or DRS) is a technology-based system used in the sport of cricket. The system was first introduced in Test cricket, for the sole purpose of reviewing the controversial decisions made by the on-field umpires in the case of a batsman being dismissed or not. The new review system was officially launched by the International Cricket Council on 24 November 2009 during the first Test match between New Zealand and Pakistan at the University Oval in Dunedin. It was first used in One Day Internationals in January 2011, during England's tour of Australia. It was first used in ICC World Cup 2011, which India won. The first referral of the World Cup was the unsuccessful one made by Dhoni off the bowling of Santhakumaran Sreesanth. In the thrilling tie between India and England in Bangalore as MS Dhoni was annoyed by the system and said that it is an adulteration of human decision and technology, to which the ICC replied that the players should know the technology before passing judgement on it. It was the 2.5 M rule which came under fire. In June 2012 there was brouhaha in the Cricket World as the call for Universal DRS fell flat at Board table. Tony Greig criticized India for opposing stating that the game was controlled by BCCI. Tailpiece : Ian Bell’s first test century against was courtesy the referral system. He was given out on 67, insisted that he had not touched the ball, on a referral the decision was over turned. On 16th June 12 in the 1st ODI at The Rose Bowl, he scored 126 again courtesy UDRS. He later confessed having nicked the ball behind when on 23, but Decision Review System (DRS) gave him the benefit of the doubt, and allowed him to fire England to victory. In WC 2011, Dhoni made a referral. the giant screen made Bell realise his defeat and made him walking – but Billy Bowden gave him not out and struck to his decision. That time, ICC playing condition under Process of Consultation No. 3.3 (i) was referred as stating that if a 'not out' decision is being reviewed and the distance from impact to the stumps is greater than 2.5m then the third umpire passes this information to the on-field official along with: the distance from the wickets of the point of impact with the batsman, the approximate distance from the point of pitching to the point of impact, and whether the ball is predicted to the hit the stumps the on-field umpire shall have regard to the normal cricketing principles concerning the level of certainty in making his decision as to whether to change his decision. So is India right in stating that a system with technical flaws should not be imposed in its present form.